In the April 2015 biography Requiem for the American Dream: Noam Chomsky and the Principles of Concentration of Wealth and Power, interviews over four years with the most quoted intellectual and author alive provide penetrating insights into the defining characteristic and legacy of our time – a half-century of deliberate, historically unprecedented inequality favoring the most wealthy at the expense of the majority. Noam Chomsky’s profoundly personal and thought provoking discourses and reflections on his life of activism and political participation offer potent reminders and hope that power ultimately belongs to the governed. 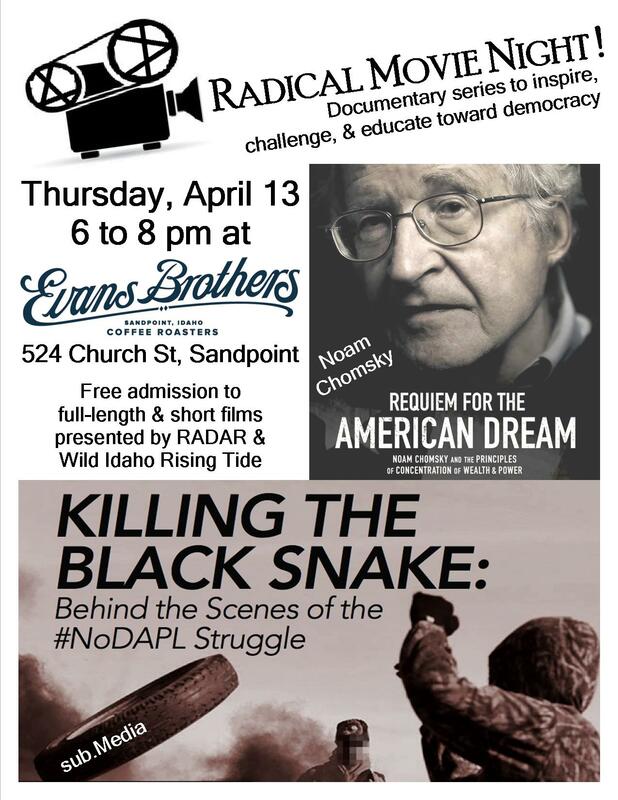 Through the first episode of Trouble – the March 2017, short video Killing the Black Snake: Behind the Scenes of the #NODAPL Struggle – grassroots, independent, media collective sub.Media looks beyond the mainstream narratives about the Standing Rock indigenous and allied resistance encampment, to understand its overlooked dynamics, including serious disagreements over tactics to stop the Dakota Access Pipeline (DAPL).